Letting your cares fade away as you take to the open road is a key piece of owning or leasing a Nissan Sentra. Think we are being a little over the top with this proclamation? Then join the Universal Nissan team for a few minutes and we will show you exactly why more and more drivers in Orlando are making the switch to a bold new Sentra. Driving a Nissan Sentra gives you the perfect opportunity to show off your superior sense of style. From aggressive front and rear fascias to a track-inspired silhouette, everything about this sedan screams performance. Opting for the Sentra SR Turbo unlocks even more design upgrades, including aerodynamic contours, an alluring rear spoiler, and even 17-inch (in.) aluminum-alloy wheels that complete its sporty look. Even though the Sentra has made a name for itself by being easy on your wallet at the pump, it also knows a thing or two about opening up the throttle on the open highway. 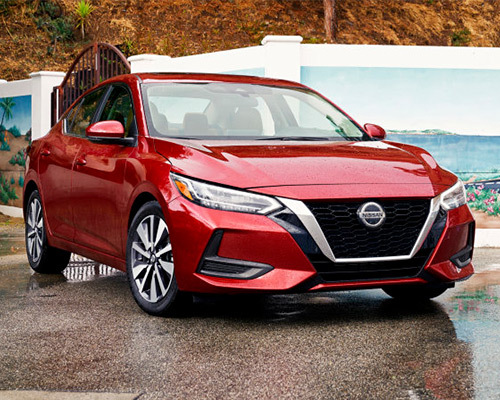 Backing up this statement is a breeze when you factor in that the standard Sentra comes equipped with a 1.8-liter (L) engine that will generate 124 horsepower (hp), 125 pound-feet (lb-ft.) of torque, and 29 miles per gallon (mpg) in metro areas and 37 mpg on the freeway. If living in the fast lane is more you style, then upgrading to the the 1.6-L DIG turbocharged engine, which offers up 188 hp, 177 lb-ft. of torque, and 27 mpg around the city and 33 mpg on the interstate is perfect for you. 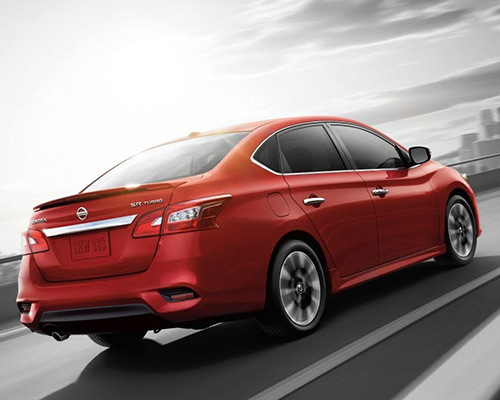 Driving a Nissan Sentra is all about being in complete control of your driving experience. Designed to get your adrenaline pumping, this car's sport-tuned suspension (including tuned front and rear springs and damper) and Sport Mode, which generates a more responsive throttle and enhanced Xtronic CVT performance, takes your daily drive to the next level, while switching to Eco Mode helps keep your wallet in take when the time comes to hit the gas pump. Once you put all of this together, it becomes clear that the Sentra is a vehicle that knows how to really own the road. Thanks to a bevy of premium features, the Sentra S from Nissan knows how to truly upgrade your time spent in and around Orlando FL. By incorporating Bluetooth streaming audio, intelligent automatic headlights, a seven-in. touchscreen display, a RearView Monitor, and so much more, the Sentra S is a vehicle designed to keep you comfy for countless miles traveled. For those in Orlando who want to get their adrenaline pumping, it is time to say hello to the Nissan Sentra SR Turbo. Whether you love its power-sliding glass moonroof, the heated front seats, or its powerful 1.6-L turbocharged engine, there is no denying that this performance sedan offers up stunning performance and high-end luxury in droves. 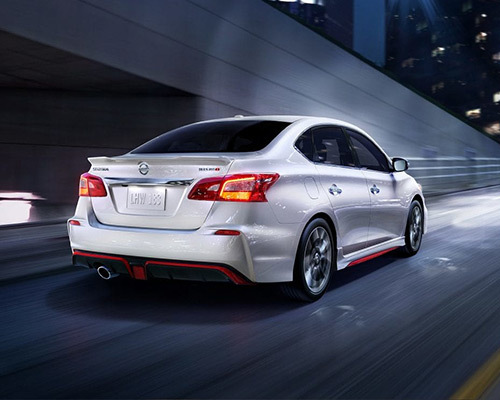 Crafted on the foundation of Nissan's storied history of performance, the Nissan Sentra NISMO is as ready to own the interstate as it is to turn laps at the local track. In total, NISMO-tuned suspension and steering, an aerodynamic body kit, custom sport front seats, a NISMO-branded tachometer, and so much more come together to ensure that you always find yourself immersed in performance and raw power. If making your life more manageable is a big deal to you, then you can't go wrong with owning or leasing a Nissan Sentra. Case in point? The Advanced Drive-Assist Display. With this impressive suite of features on your side, which consists of a five-in. monitor in the instrument cluster that provides access to safety alerts, turn-by-turn directions, the Hands-Free Text Messaging Assistant, and so much more, staying on top of every portion of your daily routine is a stress-free affair. Designed exclusively for the cabin of the Sentra, the available Bose Premium Audio system is sure to keep the good times rolling for you and your friends. Regardless of what type of music you prefer, this setup's eight speakers (each individually tuned to enhance your experience) are destined to heighten your senses and brighten your mood. Isn't it time that you armed yourself with this kind of high-end sound setting as you take to the roads of Orlando FL? Have a ton of stuff you need to haul with you on your need trip? Then the Sentra is the top choice for you and your family. Whether you need to cart around the kids' sports gear or luggage for your next family vacation, the Sentra's 15.1 cubic feet of storage space, in addition to 74.1 cubic feet of cargo area when you drop the 60/40 split back seats down, has exactly what you are looking for in your next automotive purchase. Once you factor in everything else we have covered here, it should not take long to realize that getting the most out of your daily drive on the streets of Orlando starts and ends with a Sentra of your own. Shouldn't you treat yourself to a better commute?